Manashjyoti Athparia posted in the Gulshan Kumar Forums (hat tip to mayank_jee) a screen shot of Google's search results with a big box letting the searcher submit a question to be answered later by humans. The box comes up within the mobile search results and says "get the answer that you're looking for added to the web." 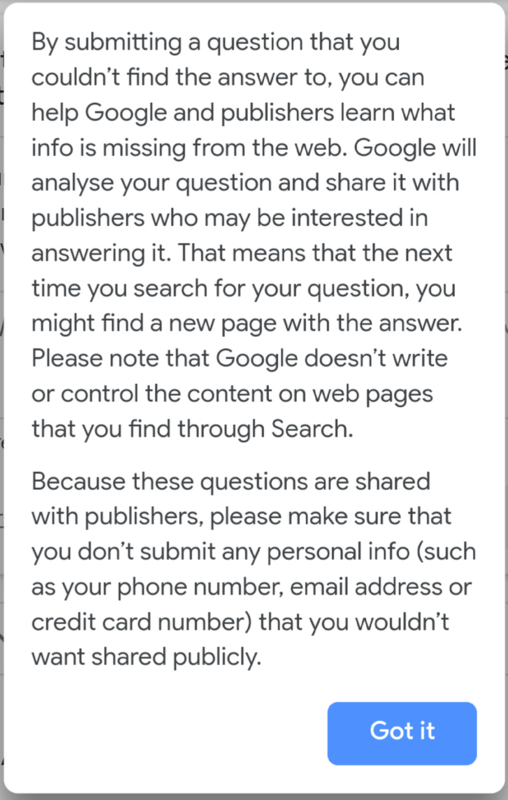 Then it says "your question will be shared anonymously with online publishers who may be interested in answering it." The box then lets you either type your question or use a microphone to speak your question. You can then submit the question. I cannot replicate it, it seems to be a limited test, maybe just in India. I am not sure. This seems to be a very non-Google like approach to search results. Getting humans to interact and respond later. Have you seen this before? 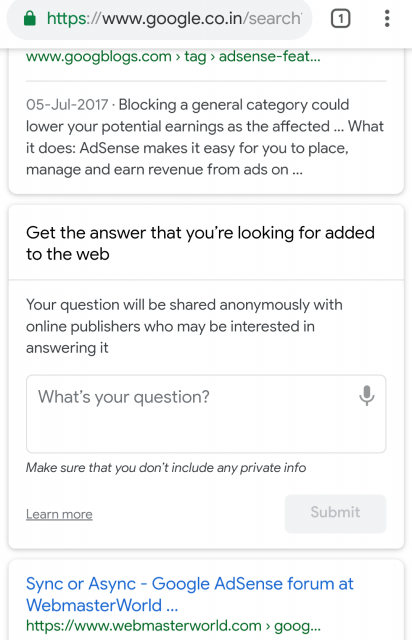 There have been search engines that have launched touting their ability to get human experts to answer your questions, but those have never become popular. I suspect it posts the question in the Google AdSense forums? Forum discussion at Gulshan Kumar Forums. Update: Posted a statement from Google confirming this test and more over at Search Engine Land.